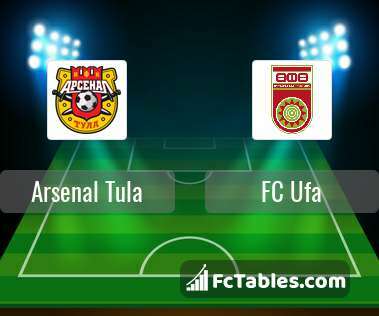 Kick off Arsenal Tula-FC Ufa in Premier League on today 16:30. Referee in the match will be . Team Arsenal Tula is located in the middle of the table. (12 place). In 5 last matches (league + cup) team gain 5 points. From 2 matches can't win a match. From 2 matches at home no lost a match. In this season games Premier League the most goals scored players: Sergey Tkachev 3 goals, Zelimkhan Bakayev 3 goals, Luka Djordjevic 2 goals. They will have to be well guarded by defense FC Ufa. Players Sergey Tkachev 2 assists, Luka Djordjevic 1 assists will have to be very well guarded by defenders FC Ufa, because they have the most assists. Team FC Ufa is in the releagtion zone of the table. 14 position. FC Ufa in 5 last matches (league + cup) have collected4 points. from 2 matches team have not been defeated. The most goals in Premier League for FC Ufa scored: Sylvester Igboun 2 goals, Ondrej Vanek 2 goals, Vyacheslav Krotov 1 goals. Players with the most assists: Sylvester Igboun 1 assists. Direct matches: FC Ufa won more direct matches. 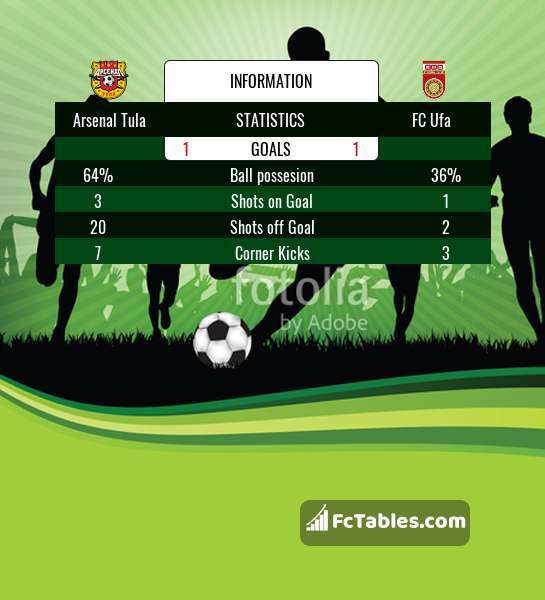 Arsenal Tula won 4 matches , FC Ufa won 4 direct matches, was a 1 draws. In 3 matches the sum of the goals both teams was greater than 2.5 (Over 2.5), and 4 matches teams scored more than 1.5 goals (Over 1.5). In 3 matches the both teams scored a least one goal (Both teams to score).